If you haven’t already, sow cosmos seeds. The white, pink, deep rose or red flowers are easy to grow and flower for months on end. These pretty annuals like heat so they flower best when temperatures remain above 15degC. Too much below that and growth and flowering is inhibited. Sow seeds in trays for transplanting later. In the garden, space your seedlings about 20cm apart. Feed with a balanced fertilised when first transplanted then again in midsummer. Once more over the season is adequate. Too much fertiliser will result in tall, lanky plants with more leaves than flowers. Seeds are available from all seed suppliers. For a bicoloured variety like the above, try ‘Candy Stripe’ from Kings Seeds. 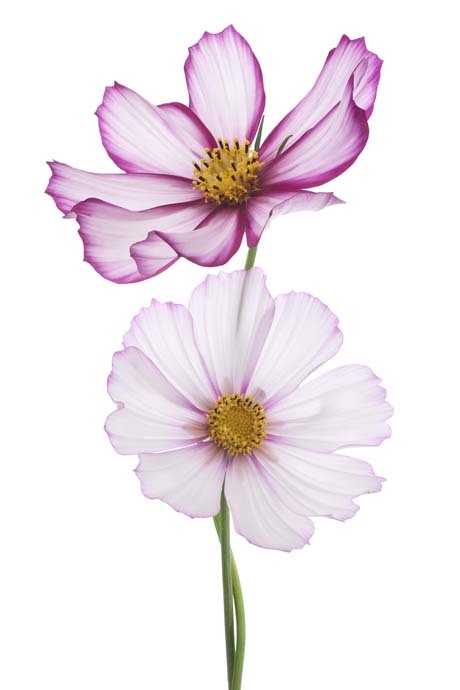 Plant your cosmos en masse for a lovely wild look. 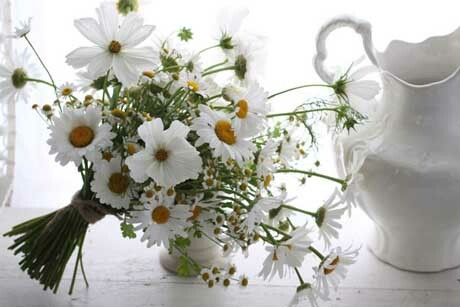 Pick them regularly for the vase – they make great cut flowers – or deadhead regularly to keep the flowers coming. 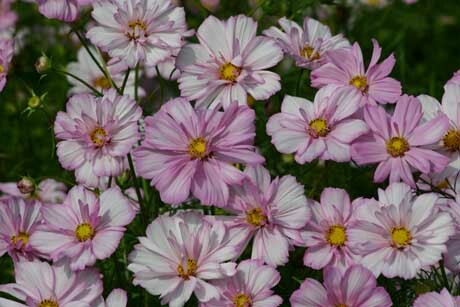 This lovely new cosmos, ‘Cosimo Collarette’, is new from Egmont Seeds. It takes just a little longer than your ordinary white or pink cosmos to bear flowers (115 days from sowing to flowering instead of 100), but there’s still plenty of time to sow seeds. These flowers will bloom right through autumn. Best to sow in trays for transplanting later, where it will grow in sun or partial shade. Click here to order your seeds. I sowed a whole tray of white cosmos a couple of weekends ago and they’re already tall enough for pricking out. These gorgeous annuals can bloom in as little as two months after sowing, and my lot are right on track for that. Cosmos are one of the easiest annuals to grow by seed and they flower so prolifically you’ll have a constant supply for picking from spring till autumn. Just deadhead the ones that have finished flowering (that is, if you don’t get around to picking them) and they’ll keep on blooming. Cosmos seeds are available from pretty much all garden centres and from all seed suppliers, so you’ll have no problem finding them. 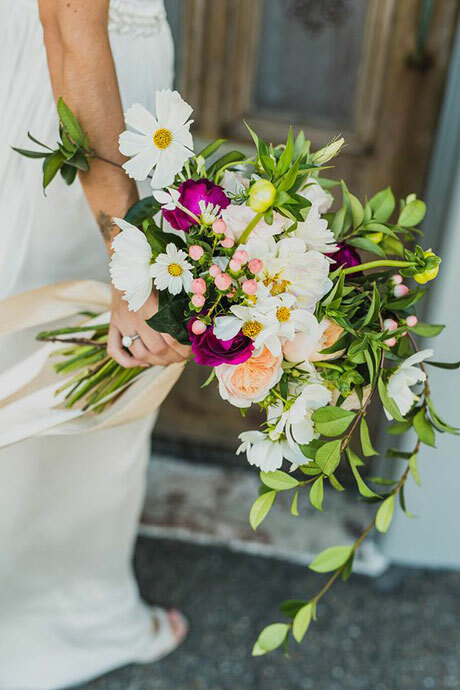 Look for them in pinks, oranges and yellows too – though my fav is white, with its understated elegance. 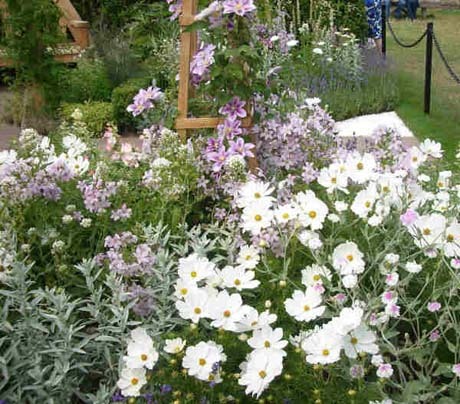 See how they look in a bouquet, above (from florist Amy Merrick), or in the garden, as in the Jane Seymour show garden at the 2009 Hampton Court Flower Show, which comes from Martin at Newton. I truly adore this cosmos from King Seeds. ‘Candy Stripe’ has been a floral favourite for a couple of years now and she still delivers on all her promises. She thrives on neglect (just as well), she grows a mighty 110cm tall (if not taller), she blooms from spring to autumn (what a trooper) and she self-seeds if you leave her to it. She even makes a great cut flower. 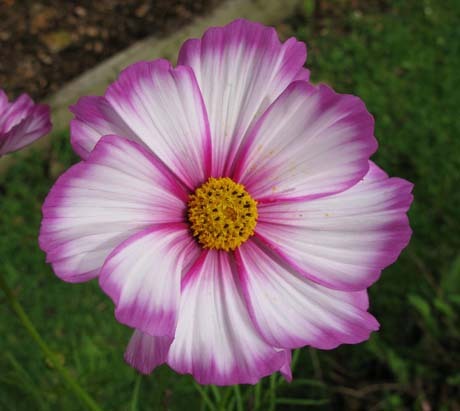 Like all cosmos, ‘Candy Stripe’ is a no-nonsense, no-maintenance sort of plant. She’s fast-growing, prolific flowering and drought tolerant. And, apparently, resistant to disease. This year my white cosmos succumbed to powdery mildew. But not ‘Candy Stripe’. She had not a single powdery puff on her. I sowed cosmos on October 5th and they germinated just 5 days later. And five days after that, they’re ready for pricking out into small pots. 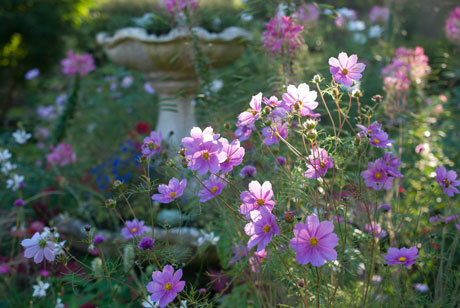 Cosmos are a great investment for the summer garden because the flowers just keep on keeping on. See more on cosmos below. Coneflowers (Echinacea purpurea) are getting more colourful every year. The most widely grown are the vibrant pink varieties (shown here), but there are also white, peach, tomato red, even yellow hybrids. Plant them in full sun in free-draining soil. They’re reasonably drought tolerant, but they’ll perform better will a little mollycoddling. Young plants, especially, need regular watering until established. Sow seeds in trays now for a late summer show. Or wait until summer and buy full-grown plants. 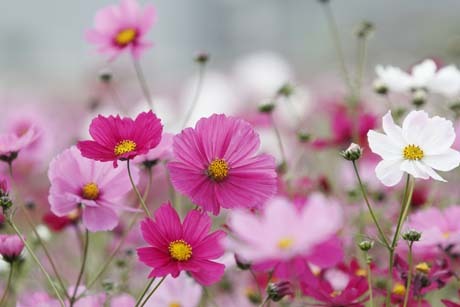 You’ll never be without cut flowers if you sow cosmos. They flower profusely from spring to autumn, and in as little as two months after sowing. 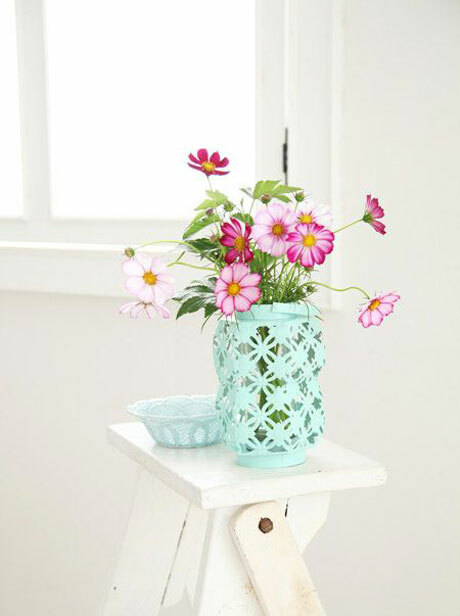 They come in soft pinks, vibrant pinks, white, yellow and orange, with single, double or fluted petals. Egmont Seeds and Kings Seeds both have a great range to choose from. China asters (Callistephus chinensis) are hardy annuals grown extensively as cut flowers. They’re classic autumn flowers, and they come in vibrant, racy colours. 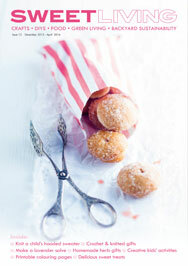 If you prefer a paler palette, try the gorgeous new variety ‘King Size Apricot’ (click here to see) from Kings Seeds. China asters are super easy to grow from seed, or you can buy seedlings from your local garden centre. Plant them in full sun and keep the soil moderately moist. 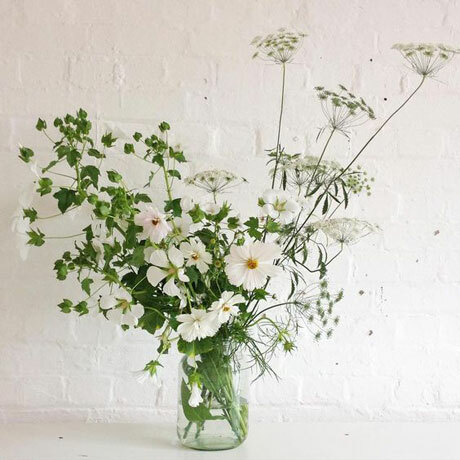 They won’t rebloom once picked (or deadheaded) so try successive sowing (sowing seeds once every two or three weeks) to get a steady supply of blooms for the vase.